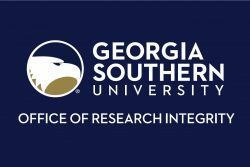 All Georgia Southern campuses are currently a No Fly Zone for all unmanned aircraft systems. All Campuses: At this time, all UAS flights require presidential approval and documentation of appropriate certifications. Armstrong Campus: Armstrong campus is in Hunter Army Airfield’s Class D airspace which will require a waiver or airspace authorization from the FAA to operate in that airspace. Join the UAS User Group here to receive updates. The UAS Program is administered by the Georgia Southern UAS Taskforce. For questions, call 478-5465 or email research@georgiasouthern.edu.